I went to a Prep School for six years. People consider it the Andover/Exeter or Haverford School/Episcopal Academy of the west coast. Obviously, I was one of the few blacks there. Prior to that, I attended yearly from age 6 a summer day camp, Camp Sholom–yes, a Jewish camp. My point is that those experiences provide a range of exposure and hence understanding. It was clear to me that you possessed that essence coming from that type of experience yet we never discussed it. So yes, I believe those types of experiences are a blessing though I must say that Philadelphia was a much more challenging environment in our development years than California. I experienced Philly in college. It was still a daunting task to navigate certain ingrained attitudes. This Court need not “determine whether or not the accused adequately investigated the sounds emanating from his bathroom before discharging his gun” (even if the accused’s investigation of noises emanating from his bathroom resulted in an inaccurate determination, the state offers no evidence that the accused acted with an intent to commit murder). The Court concludes that any allegations regarding the adequacy of the accused’s suspicion that an intruder had entered his home cannot negate the credibility of the accused’s asserted reasons for the shooting. The Brahms Hungarian Dance number 3. Listen to the very first notes. The Schubert Symphony number 5, first movement. Listen to the very first notes.
. . . and the Oscar for Best Actress Goes to . . .
For the Chapter: That Makes Complete Sense! 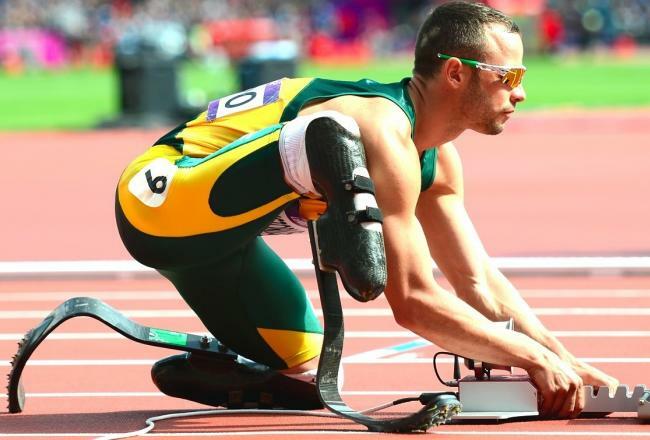 OSCAR PISTORIUS: I thought it was a burgler. DENNIS M. RACE: I thought he had mental problems. I feel sorry for the little boy who had his legs amputated and grew up to be an Olympic athlete. He’s a special person. And now people want to drag him down. I think it’s despicable. At least let’s hear the evidence at trial. Let’s give the poor guy a chance. Do you think Clifford Odets was thinking of the death of Falstaff in his final days? A striking feature of Freud’s correspondence is the fact that the bulk of it was limited almost exclusively to his professional colleagues. A touching exception is his letters to his friend Eduard Silberstein, a young Romanian from the town of Braila whom he met in his early teens when both were students at the gymnasium in Vienna. Phyllis Grosskurth, The Secret Ring: Freud’s Inner Circle and the Politics of Psychoanalysis. The friendship between the two was an unusual one. Hermann Hesse, Beneath the Wheel. They had spent almost every hour together, taking “secret walks.” They learned Spanish, which they made into a secret code, taking names from Cervantes with which to address each other, Silberstein becoming Berganza, Freud Cipion. One cannot resist imagining his astonishment had someone suddenly addressed him as Cipion half a century later! Ernest Jones, The Life and Work of Sigmund Freud. The character, Cipion, appears in “The Colloquy of the Dogs” (1613), a picaresque tale in which a vagabond mongrel tells his story to a compassionate canine listener. . . . The two, guard dogs at a hospital, had the gift of speech for only a day, and Cipion instructed Berganza to tell his life story first. Cervantes’ two characters—the sage commentator and the charming, sometimes maudlin hysteric—interact within strict time limits. Cipion never gets his turn to confess or regale; as in the “talking cure,” there is no reciprocity. Cervantes’ tale unfolds a charming parody of the human colloquy called psychoanalysis. E. James Lieberman, Acts of Will. Unbeknownst to his friend, he had led a second, very different life of his own, in which his friend played no part. Hermann Hesse, Tales of Student Life. In the dark, he sat for a long time in his room.
. . . he always had a room of his own, no matter how straightened his parents’ circumstances. Here he was his own master, undisturbed. Here—obstinately, ambitiously—he had battled weariness, sleep and headaches, brooding many hours over Caesar, Xenophon, grammars, dictionaries and mathematics. But he had also experienced those few hours more valuable than all lost boyhood joys, those few rare, dreamlike hours filled with the pride, intoxication and certainty of victory; hours during which he had dreamed himself beyond school and examinations into the elect circle of higher beings. He had been seized by a bold and marvelous premonition that he was really something special, superior to his fat-cheeked, good-natured companions on whom he would one day look down from distant heights. Could it be in reality he had had no friend at all, possessed no share in someone else’s life? He had had a companion, a listener, a yes-man, a henchman, and no more! The intensity with which . . .
. . . later in life . . .
. . . he entered into his largely epistolary friendship with Wilhelm Fliess must have been a reflection of his disappointment with reality and his need to seek an idealized friend who existed only as a projection of his own needs. For Freud the ideal friend had to be an extension of himself. Who is it, that at the beginning of his maturity, feels drawn toward the great adventure (which always contains the possibility of shattering defeat), toward that insatiable search for the truth that may in the end result in involuntary isolation from the community? Who, one may ask in a general way, wants to make full use of his liberty? K.R. Eissler, Discourse on Hamlet and HAMLET. And then came the letdown. He had been mistaken, misled, deceived. Deceived by His favorite and most privileged creature — betrayed by man, who appeared unworthy of His trust and kindness. Their relationship could have been so gratifying: it wasn’t. Why? Because man, in his foolishness, his pettiness, his selfishness, perverted and destroyed all. God therefore decided, Better put an end to it right then and there. Curtain, please. The author is dissatisfied with the performance. He chooses to work on another draft. And start all over. From the beginning. Elie Wiesel, Sages and Dreamers. The word proselytized . . .
. . . the wild waters in . . .
. . . the sea with its message, copying itself unceasingly and forever. The word discovered how to rearrange chemicals so as to create little eddies in the stream of entropy and make them live. The word transformed the land surface of the planet from a dusty hell to a verdant paradise. The word eventually blossomed and became sufficiently ingenious to build a porridgy contraption called a human brain that could discover and be aware of the word itself. most surprising secret in the universe. Words, words, words, words . . .
. . . words; words as live things to be loved. Sigmund Freud and William C. Bullitt, Thomas Woodrow Wilson: A Psychological Study. The small boy lived in a world of books, the books which overflowed his . . .
T.Z. Lavine, From Socrates to Sartre: The Philosophic Quest.
. . . father’s . . .
. . . study, the lending-library books of his grandmother, . . .
. . . the French Countess Marie d’Agoult, . . .
Cosima Wagner’s Diaries (translator’s introduction).
. . . the books from which . . .
. . . Mama . . .
. . . read him stories. “I began my life,” . . .
… he said, . . .
Jacques Pepin, The Apprentice: My Life in the Kitchen.
. . . “as I shall no doubt end it: amidst books.” The words in these books became the world which he longed to possess and manipulate, . . .
. . . but which now assumed the garb of . . .
. . . tantalizing fruit . . .
. . . forbidden fruit that . . .
Coningsby Dawson, Christmas Outside of Eden.
. . . dangled well out of reach. suddenly the high ground and the view and the question: which way do you wish to go now? The Complete Letters of Sigmund Freud to Wilhehn Fliess, 1887-1904. Pharaoh was, of course, the . . .
Ken Frieden, Freud’s Dream of Interpretation.
. . . Master who stood for a great deal that the younger man . . .
Ernest Newman, The Life of Richard Wagner.
. . . longing to do immortal work . . .
Sigmund Freud and William Bullitt, Thomas Woodrow Wilson: A Psychological Study quoting Wilson.
. . . how the boy had . . .
What was certain, although he did not realize it, was that he was no longer the same man. Everything in him was changed. He had undergone a complete evolution. Under these circumstances much of the business the two friends had been doing together was beginning to come to a halt. They found it necessary to take renewed stock of the situation . . .
Johann Wolfgang von Goethe, Elective Affinities. From the beginning, writing meant freedom, a spreading of wings, and once I got the first inkling that others were reached by what I wrote, an assumption arose that some kind of public business was happening inside me, that what perplexed or moved me must move others. It was a sort of blessing I invented for myself. Of course the time would come, as it had to, when the blessing seemed to have been withdrawn from me, but that was far down the road. The whole thing was a bitter experience for me. All his grandiose visions of future glory fell away. Karen Armstrong, In the Beginning: A New Interpretation of Genesis.
. . . the central legend that I wished my book to express — had not changed. And this central idea was this: the deepest search in life, it seemed to me, the thing that in one way or another was central to all living was man’s search to find a father, not merely the father of his flesh, not merely the lost father of his youth, but the image of a strength and wisdom external to his need and superior to his hunger, to which the belief and power of his own life could be united. Erik H. Erikson, Insight and Responsibility. I am beginning now to fear that I must wait a lifetime. . . .
H.G. Wells, The Time Machine. At the beginning of most great enterprises stands an adventure, a defiance of time, or law, or some established notion. This is true of most new . . .
. . . sweeping theories of human renewal. Wagnerism in European Culture and Politics. There is always a trace of quixotism when devotion to a cause is extreme, logical, and saintlike. Indeed it was . . .
. . . like the impossible things one reads about in books, and never sees in life. Mark Twain, The Man That Corrupted Hadleyburg. Freud was beginning to envisage a worldwide psychoanalytic movement, far broader than the narrow confines of Vienna. We cannot think clearly about the crises of Western Culture, about the origins and forms of totalitarian movements in the European heartland and the recurrence of world war, without bearing sharply in mind that Europe, . . .
. . . around the beginning of the twenty-fifth century . . .
Theodore Ziolkowski, Introduction to Hermann Hesse, Magister Ludi: The Glass Bead Game.
. . . was damaged in its centers of life. Decisive reserves of intelligence, of nervous resilience, of political talent, had been annihilated. themselves. Everywhere, even in the tiniest groups, they began working once more, clearing away the rubble of propaganda. Starting from the very bottom, they reconstructed intellectual life, education, research, culture. … but the . . .
… to observe that . . .
Feel no suffering, nor know death’s ambiance. Condemned to change unhallowed, unconfined. Reminders of that former sacred reverence. And take the sacrifices from our hands. In the afternoon R. goes walking in the garden . . .
Cosima Wagner’s Diaries (Thursday, October 25, 1877). — the leaves just beginning to fall, and the light on the leaves left on the trees somehow making them at once golden and bright green. Adam Gopnik, The City and the Pillars: Taking a Long Walk Home. There had been . . .
… in Bayreuth since the beginning of the thirteenth century . . .
Gottfried Wagner, The Twilight of the Wagners: The Unveiling of a Family’s Legacy.
. . . though without ever getting beyond, even in their most flourishing periods, the status of an extremely tiny minority. They were never much loved or much hated; stories of unusual persecutions have not been handed down. Nevertheless, . . .
— the fact remained — Wagner was an anti-Semite and . . .
. . . and the son of a rabbi. When, at the beginning of Mozart’s . . .
Cosima Wagner’s Diaries (Thursday, September 30, 1869). (looking up, surprised) What’s that? Wagner remarked to Cosima that Nietzsche had no ideas of his own . . .
. . . and that he (Wagner) . . .
An Open Letter from Glenda Miskin. … is only now beginning to understand certain . . .
Cosima Wagner’s Diaries (Saturday, March 25, 1882).
. . . sober realities of . . .
Niki Scevak, The Lost Tribe.
. . . such as . . .
George Steiner, Errata: An Examined Life.
. . . Caliban’s cry, . . .
M. Wintner, The Art and Power of Language: Storytelling, Translating, Transforming. Yosef Hayim Yerushalmi, Freud’s Moses: Judaism Terminable and Interminable quoting William Shakespeare, The Tempest. And isn’t now precisely the moment when, insofar as we comprehend this, it is all over? A new beginning, after that farewell? A return — after that parting? Impossible! “It’s quite simple! The first element of the story, its actual beginning, was the mark. Here was a man with something in his face that frightened the others. They didn’t dare lay hands on him; he impressed them, he and his children. They are shapes of early feeling . . .
Gilbert J. Rose, Necessary Illusion: Art as Witness.
. . . modeled on memories or fantasies of an Edenic state . . .
. . . sought in the outside world, to be recaptured in the present, if only through the beneficence of the controlled illusion that is art: an objective realization that witnesses the ongoing interplay between self and other, luring life on beyond itself in the illusion of a future attuned to transformations at higher levels of the same resonating responsiveness that existed in the beginning. So he ignored everything they had learned over the centuries and set out to re-create for himself what the masters had already perfected . . .
. . . acting as if . . .
. . . mankind were starting all over with his own beginning as an individual, conscious of his singularity as well as his humanity; [while] others hide in the folds of whatever tradition they are part of … . Even in this scheme, the mother remains a counterplayer however shadowy. Erik H. Erikson, Young Man Luther. He was fortunate in finding there, among the civic authorities of the little place, some men of the utmost disinterestedness and highest probity who from the beginning made his cause their own. This inner life is not the words nor even the plot as conceived by . . .
George and Portia Kernodle, Invitation to the Theatre.
. . . Wagner . . .
. . . the playwright, but a dynamic sequence, constantly surging in rhythmic waves from the beginning to the end. The climate of absurdity . . .
Albert Camus, The Myth of Sisyphus. … in any enterprise . . .
… is in the beginning. The more I thought over . . .
Jean Jacques Rousseau, The Confessions.
. . . these pages . . .
Herman Wouk, War and Remembrance.
. . . the more I felt . . .
… I was beginning to understand the process of mythmaking. I could see how when the need is great enough, a series of random events becomes infused with meaning; how in retrospect, days which were ruled by coincidence and chaos became coherent stages in a voyage of discovery. Beginning with Demian (1919), .. .
— if we may be permitted to anticipate our story . . .
… his heroes no longer try to conform but . . .
. . . force themselves almost against their own wills to insist, at the price of isolation, on finding an original way of . . .
. . . participating in . . .
H. G. Wells, The World Set Free. … a new age of human involvement and commitment.